Dora the Explorer is turning 15 this week. Fifteen. Years. Old. Take a minute and let that sink in. Yes, the little melon-headed girl who runs amok with her monkey and her weirdly handy backpack is almost ready for a learner’s permit… and if that’s not the scariest thought ever, I’m not sure what is. 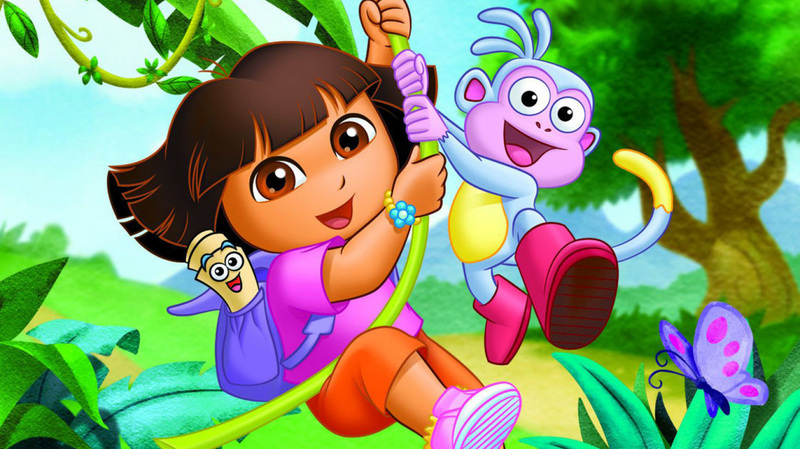 Moms do not universally love Dora… in fact, if I did a poll, I think Dora would get more thumbs down than thumbs up from the army of moms whose small humans enjoy watching Dora the Explorer. But, the show is not written for parents… or anyone with reasoning and logic skills beyond the fifth grade level. But, most parents are resigned to Dora’s exploring. Here are a few things moms accept and understand about Dora. The bridges go nowhere. The geography and dimensions in this crazy cartoon are completely skewed. The freaking backpack talks. Maybe the graphic artist believes in better living through chemicals. Maybe the whole thing is designed just to piss off adults who overanalyze cartoons. Our kids love Dora (why, for the love of Pete, we don’t understand) and we moms don’t go too far into logic land on this. That seems to be the easiest (and sanest) option for everyone. Dora wears ill-fitting clothes and wanders around town by herself. Oh wait… the monkey. Yeah. Moms know Dora either has a crappy sense of direction or needs to be scheduled for a visit to the optometrist, stat. We’re responsible parents who would reign in that free-range parenting nonsense and take our kid to the freaking eye doctor. We pretend to be annoyed each time she eyeballs you and cries, “Where’s the map?” but we’re really criticizing Dora’s hot mess parents and giving ourselves virtual high fives. Spending quality time with your kid while watching Dora can actually be fun or productive. Hear me out. Have you been meaning to catch up on your ab work? Challenge yourself to do five crunches or plank for 30 seconds each time Dora says backpack. If you watch regularly, you’ll be ripped in no time! If you need a little something to take the edge off Dora’s annoying voice, you can relax with a glass of wine and reward yourself with a sip every time you hear, “Yum, yum, yum, delicioso,” or “Swiper, no swiping!” Be responsible, though. Binge-watching Dora (shudders) can get you pretty tipsy. Hey… we do what we have to do to make that whiny, high-pitched voice just a teensy bit more bearable, amiright? Yes, Dora is annoying. Yes, that voice makes fingernails on a chalkboard sound welcoming. No, no one understands why this kid gallivants around a town that would make any urban planner twitchy with no one but a monkey to supervise. But Dora ain’t all bad, moms. In addition to teaching our kids to count to 10 in Spanish, she’s sort of useful. Silver linings, moms. Silver linings. Happy Birthday, Dora! May your cake be delicioso!